This is it! We made it all the way to chapter ten. If you're still reading the book, you are not behind. You're right where God wants you to be. Feel free to go back over the previous posts and comment whenever you like. I'm still here! 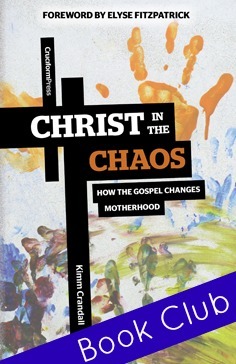 This week, let's just share what has impressed us the most from Christ in the Chaos. Where have you seen growth in your own life? What has God been showing you?